Holding hands, spontaneous kissing, hiding romantic notes, using pet names. These are the signs and signals of love. I know this because I caught the tail end of an interview with University of Washington sociologist Pepper Schwartz on NPR this week and her research identified behaviors that contribute to happy couplehood. Apparently, these are normal and successful ways to show love. I’m quite sure we use food to show love, too, romantic or not (just ask your grandma). 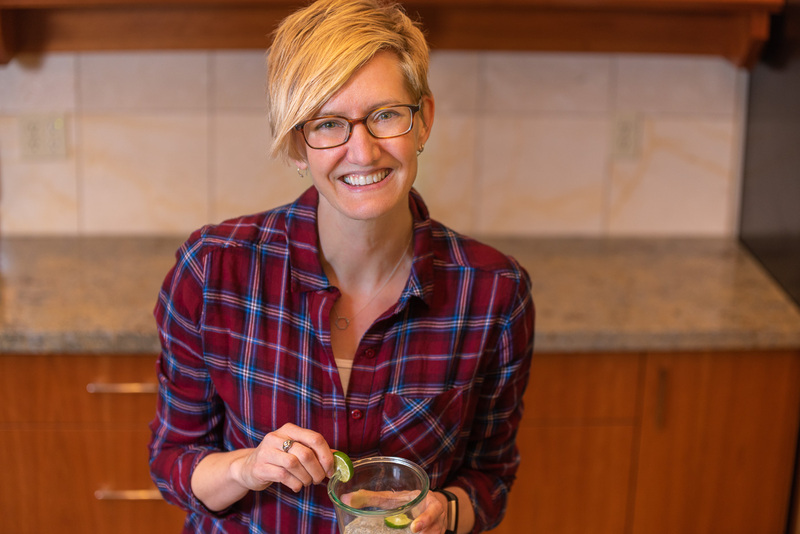 But this made me wonder…can you show love with nutrition? I think the answer is yes, and I credit my first boss with showing me nutritional love in action. I was lucky enough to get a job working for Graham Kerr right out of college. (You might know him as the Galloping Gourmet.) In his early years on television, he cooked with lots of butter, cream and alcohol. But when his beloved wife, Treena, suffered a heart attack and a stroke, he made some drastic changes in their diet. He was the family cook, after all, and he felt the best way to show Treena genuine love was to prepare food that improved her health. He’s been at it for several decades now, and he’s still creating and sharing his healthy recipes. I think of Graham and his message often when I’m planning for a potluck or a family get-together. Let’s say I’m going to a party and I know one person there has diabetes, one is working on weight loss for a New Year’s resolution, and one just started taking a cholesterol-lowering drug. It doesn’t make sense for me to bring a big plate of ultimate salted caramel brownies. Even though I know they’d like to see brownies on the banquet table, it’s not helping…and it may even be hurting. I admit, it’s a slippery slope. If I get to be known as the lady who brings carrot tofu cookies, no one will want to see me or my 13×9 pan coming. So, on this day of public and private displays of affection, I encourage you to consider dark chocolate for the ones you love. If you’re going to get them a treat anyway, why not choose one with a healthy kick to it? Chocolate is made from cacao beans. 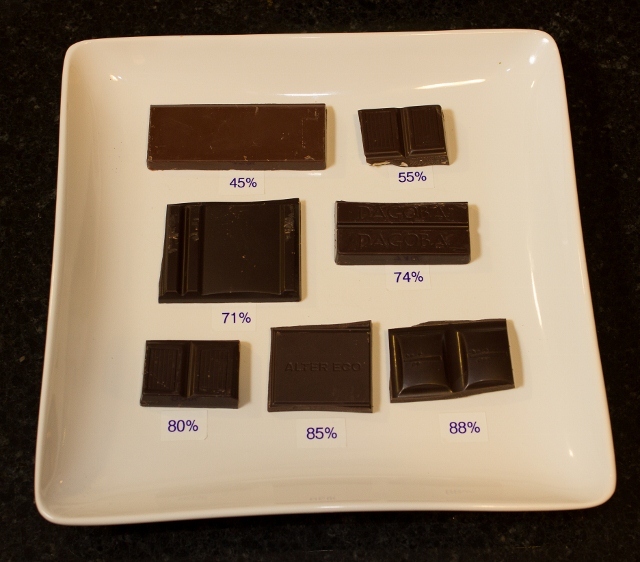 The percentages you now see on packaging indicate what percentage of the bar is ground cacao. Depending on the product, a chocolate bar may have a high percentage of cacao or it may have lots of other stuff added, like sugar, milk or milk powder, extra cocoa butter, lactose, artificial flavors, soy lecithin or other emulsifiers. Pictured: Theo 45% Milk Chocolate, Equal Exchange 55% Dark Chocolate with Almonds, Whole Foods 71% Costa Rica Dark Chocolate, Dagoba New Moon 74% Rich Dark Chocolate, Equal Exchange 80% Panama Extra Dark Chocolate, Alter Eco 85% Dark Blackout, Endangered Species 88% Dark Chocolate. 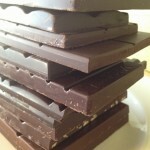 Chocolate starts out as a plant food, so it makes sense that it offers some health benefits. So far, the research is suggesting that it probably lowers blood pressure and improves blood flow and it might raise the good cholesterol (HDL) and make blood less likely to stick together and form clots. All of these taken together help explain why eating chocolate might reduce your risk of heart disease. At this point there are no official recommendations for a healthy intake of chocolate. Most experts suggest 1 ounce per day or a few ounces per week. Don’t forget – even healthy foods have calories. 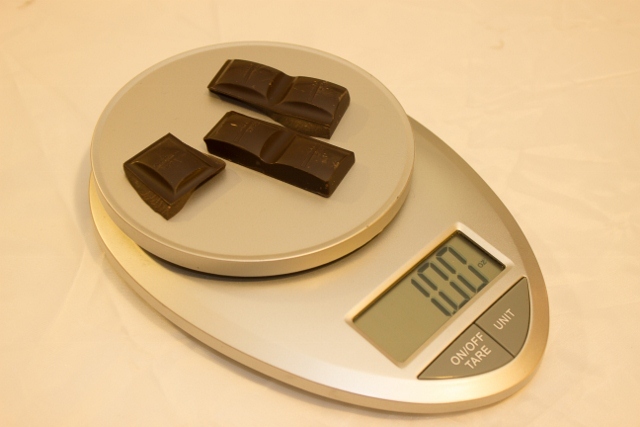 The dark chocolates I looked at ranged from a low of 136 to a high of 176 calories per ounce. Keep your eye out for dark chocolate everywhere. Many of the nationally known candy stores offer dark chocolate options, like See’s and Rocky Mountain Chocolate Factory. So, consider showing affection for another (or for yourself) this holiday with a hunka hunka burning chocolate love. I bought 7 bars as “research” for this post. If I follow the guidelines and Jeff and I each eat 1 ounce a day, then we’ve got 10 deep dark days of romance to look forward to. 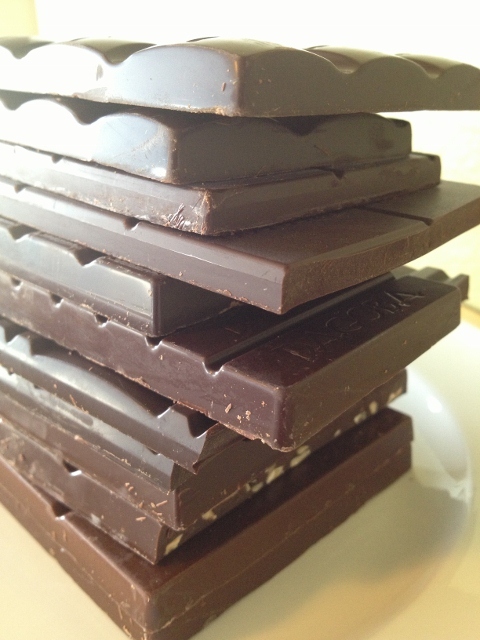 Do you have a great recipe that calls for dark chocolate or do you like it best straight from the wrapper?